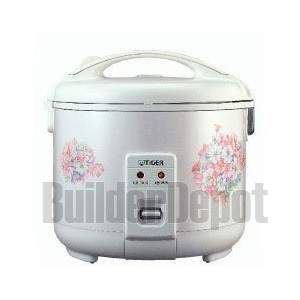 TIGER JNP1500/RICE COOKER/8CUPS Features: �Keep-warm function(up to 12 hours)� �Non-stick inner pan� �Retractable power cord � �Spatula & 6 oz. measurement cup �Made in Japan� Model : JNP� 1500 Capacity(liters/oz) 1. 7 Qty/Ctn(pcs) 4� Measurement(m3) 0. 120 Electric Rating cook/warm(Watt) 560/33� .